Serbian Eastern Orthodox believers, the country's majority Christian denomination, are on Friday, January 6, marking Christmas Eve. Christmas is a public holiday in Serbia celebrated on January 7, according to the Julian calendar. Among the countries where churches adhere to the same calendar are also Belarus, Georgia, Macedonia, Montenegro, Russia, and Ukraine. Mt. Athos and a part of the Coptic Church also mark the holiday on the same day. 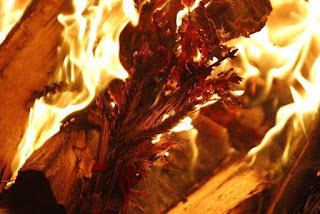 Beside attending liturgies in churches and gathering for family dinners in their homes, Serbians on Christmas Eve also observe the ritual of the burning of the badnjak - an oak branch or log. Badnjaks will be burned in many public places across the country this evening, including in Belgrade's municipalities of Zemun and Vracar, in front of the White Palace and in front of churches, and in the historic Oplenac in central Serbia. Christmas, marking the birth of Jesus Christ, is one of the greatest Christian holidays. On the day, Serbians greet each other with the words, "Christ is born," and, "Indeed he is born." Earlier this week, Serbian Orthodox Patriarch Irinej sent his traditional Christmas message. Many top officials, including Prime Minister Aleksandar Vucic, members of his cabinet, Mayor of Belgrade Sinisa Mali and others on Friday wished a happy Christmas to Orthodox Serbian believers.